The beautiful teak palace Phra Ratchaniwet Maruek Thayawan is on the road from Cha-Am to Hua Hin, about 15 kilometers on the left. More then one kilometer of teak floors makes this palace to the largest teak wood palace in Thailand. 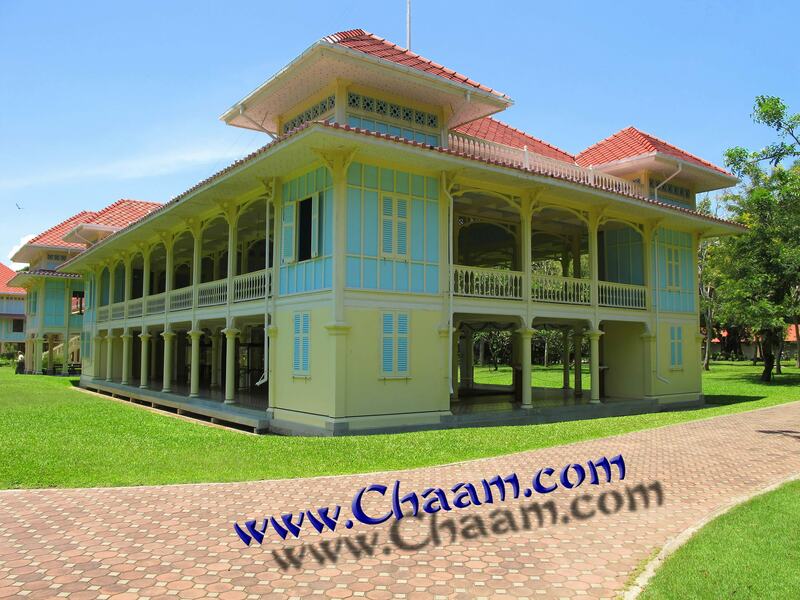 In 1923 the teak palace was built for the King of Thailand Rama VI. The palace is still on sacred ground for the Thai people, so you can only go dessed adapted the former summer residence of the Thailand king Rama VI. Men and women must wear at least knee-length pants. 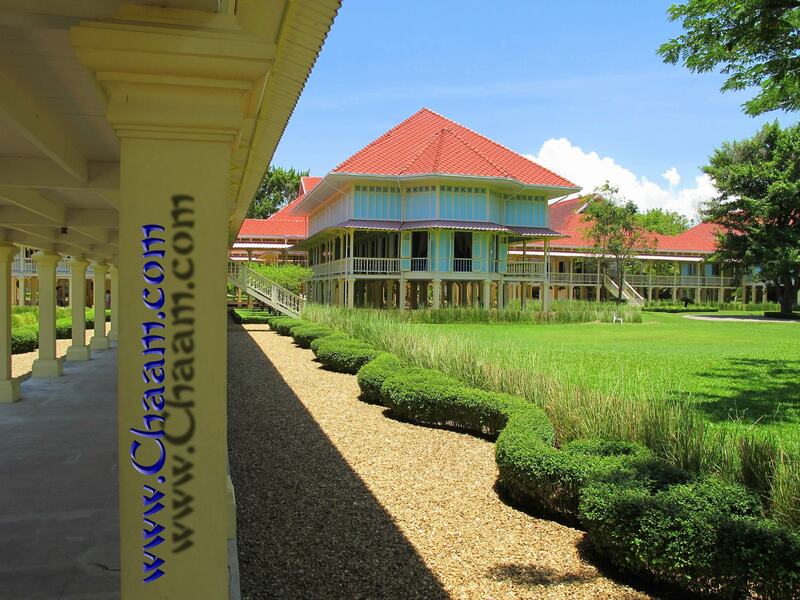 If not, you can rent a royal yellow sarong. 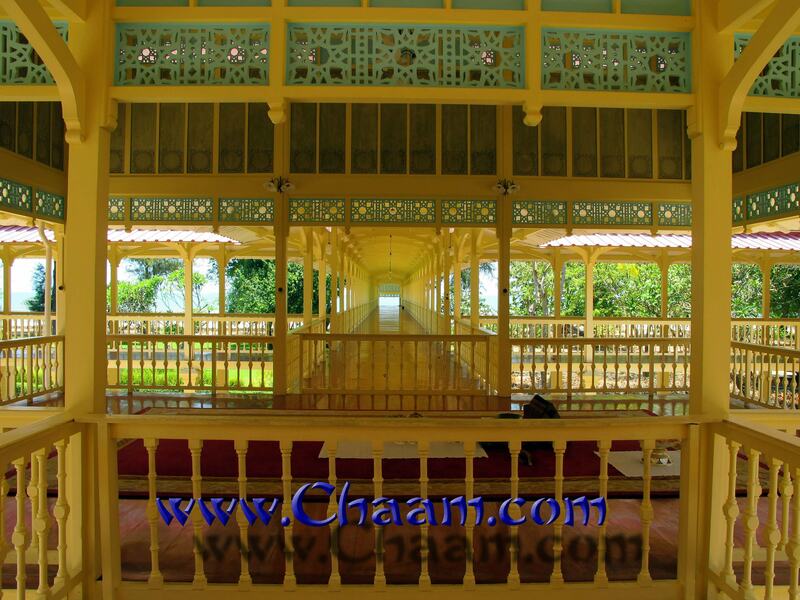 The palace itself is airy and open built, on two levels. It lead to many countless courses and small rooms. 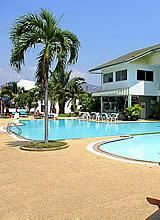 At several places you can go directly on the long teak floors to the beach. There are several beach access points, for the king, his wives, other relatives and guests. The rooms are well preserved from the time of King Rama VI of Thailand and they are maintained daily. 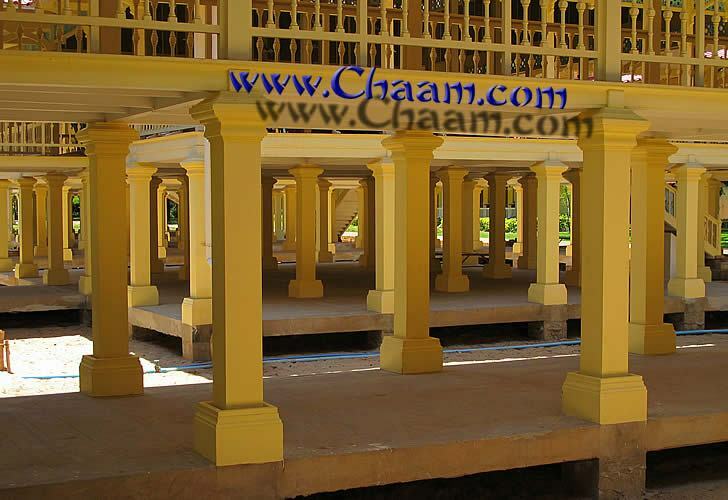 The moghty palace stands on many impressively rising up pillars. 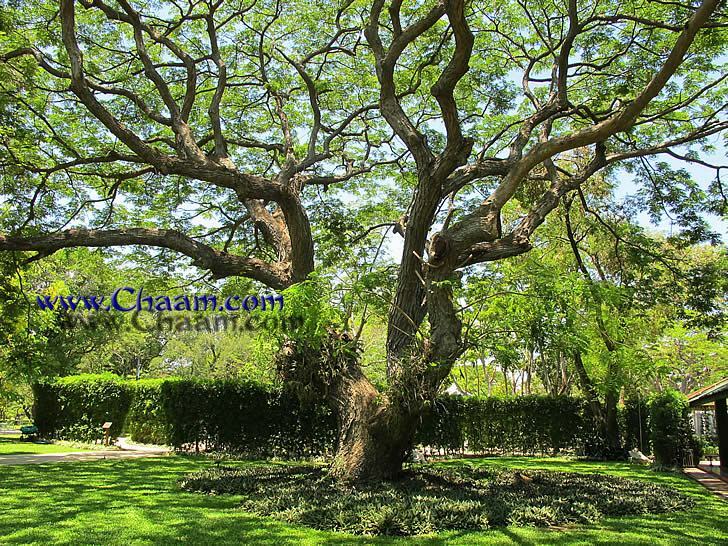 The palace is in a big park with many old trees. 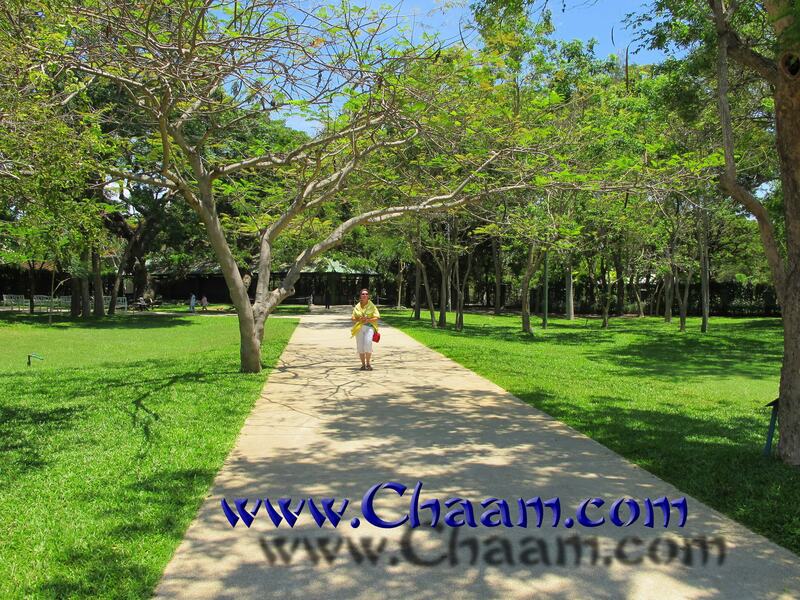 The small paths in the park are good for a walk and the trees give much shadow. 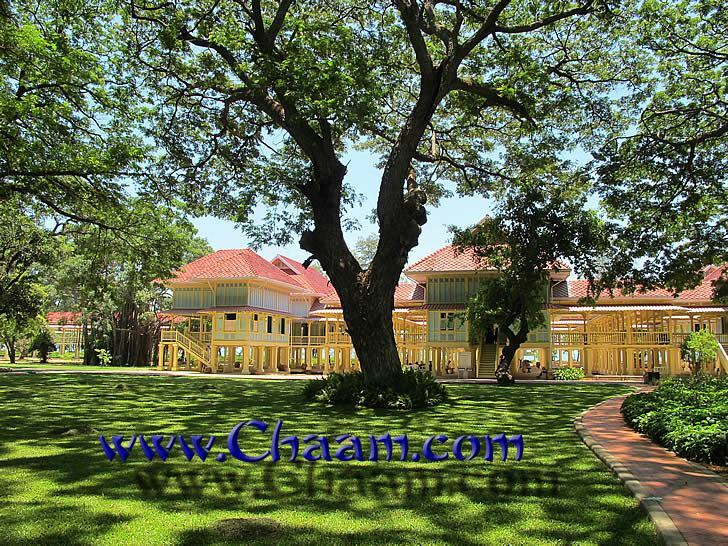 The Teak wood palace near Cha-Am was build diresctly on the Gulf of Thailand, in middle of old trees. 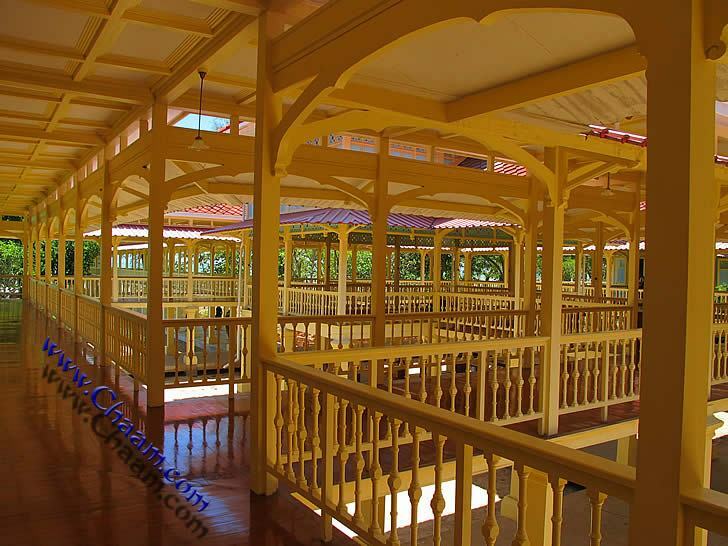 The long teak floors in the upper level are cosy for walking. 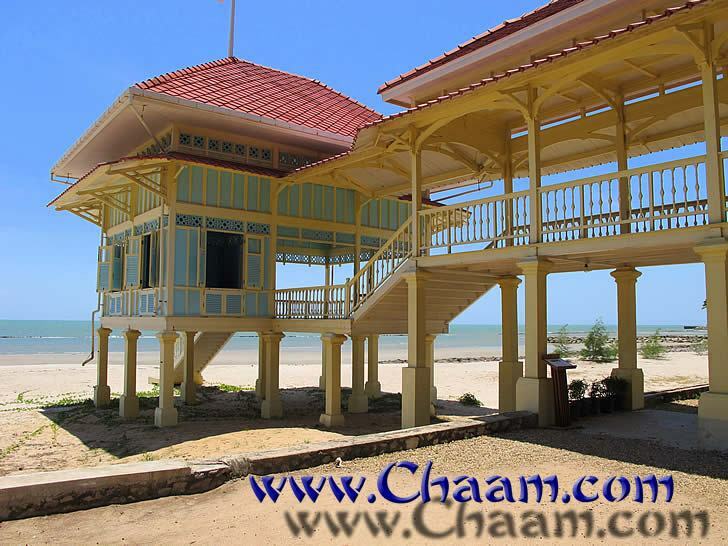 The king Rama VI and his wifes had different small beach houses. 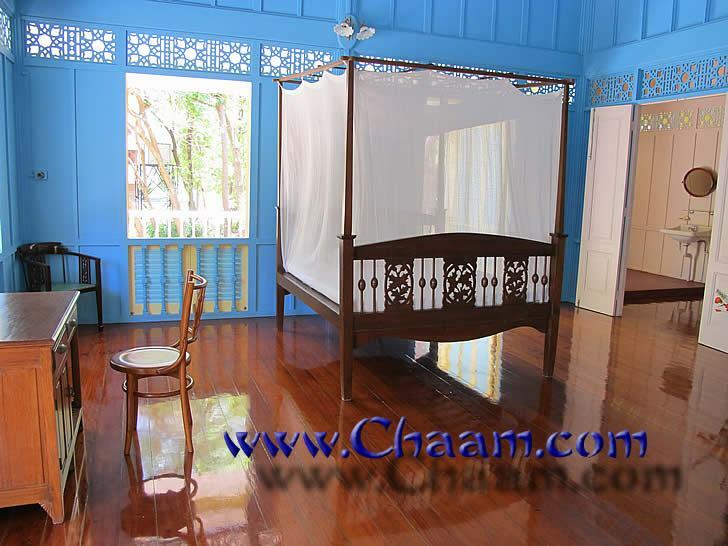 On long teak floors you can reach the white sand beach of the gulf of Thailand.